Fans go Gaga for Hotel – but what next? The Golden Globes award ceremony was a perfect example of why you might want to put Lady Gaga in your TV drama. Not only is she a good actress, as evidenced by her performance in FX’s American Horror Story: Hotel, but her every slightest action sends the media into a feeding frenzy. When she brushed past fellow actor Leonardo DiCaprio to collect her award for her role in the anthology series, she made front-page news around the world. The Gaga factor was also evident during the first episode of AHS: Hotel, which attracted a staggering 5.81 million viewers when it launched on October 7 last year. 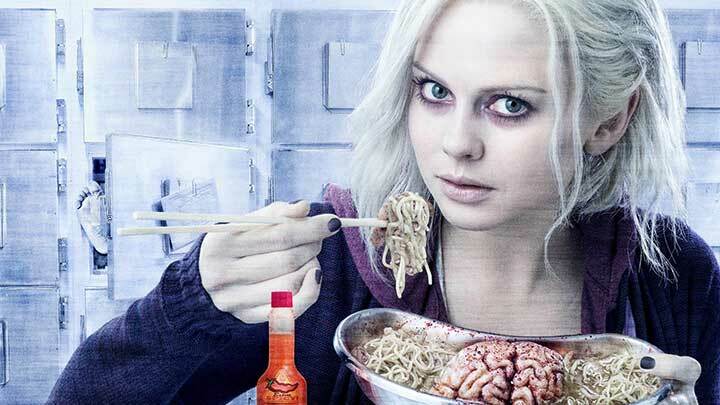 Within weeks, FX had announced an order for season six of the franchise. Creator Ryan Murphy even went as far as to suggest that it might be possible to run two seasons of the AHS franchise per year, in spring and autumn. Celebrity casting is, however, the TV equivalent of a sugar rush. Although Gaga’s casting had an amazing impact on AHS: Hotel’s first few episodes, the show has actually been on a steady downward slide across its entire run. 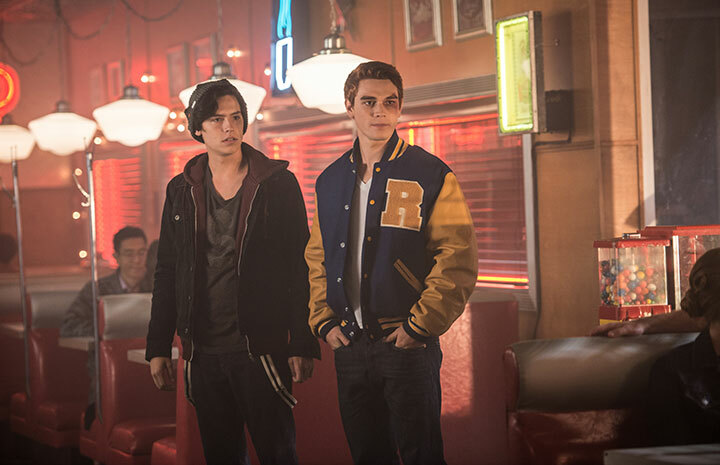 From its opening high it has dropped to just 1.84 million (with the figures for the most recent episode not in at time of writing). FX can still argue, truthfully, that the show is one of its strongest performers and that its average across the season is well ahead of channel average. But to shed 70% of its audience across a season still seems like a missed opportunity. It didn’t happen to other standout cable shows like Breaking Bad, The Walking Dead or Sons of Anarchy. So, given that Gaga triumphed at the Globes – which means her performance was, objectively, speaking a good one – what does AHS: Hotel’s ratings decline tell us? Well, possibly it means Hotel wasn’t very good. For comparison, AHS season four, Freak Show, rarely dropped below three million viewers and finished with an average of 3.85 million. Or maybe the audience is getting bored with horror – a genre that has been on the crest of a wave recently. After all, Murphy’s other anthology horror offering, Scream Queens has only managed to turn in a so-so performance on Fox. Just how many malformed monsters can squeeze underneath one bed? Or maybe the AHS production team needed to carry out a bit more pre-production analysis into the kind of celebrity whose fans might stick with the show (a kind of Amazon or Netflix-style data analysis). A Golden Globe winner she might be, but perhaps there wasn’t a close enough overlap between Lady Gaga’s fanbase and that of AHS. For the long-term health of the franchise, it might have been better to cast a celebrity whose fanbase wasn’t likely to jump ship halfway through. Whatever FX chooses to glean from the show’s decline, there’s no question it’s going to have to find another big name to lead in the sixth series, the subject of which is yet to be revealed. Still in the US, NBC has just announced that Heroes Reborn will not be renewed. 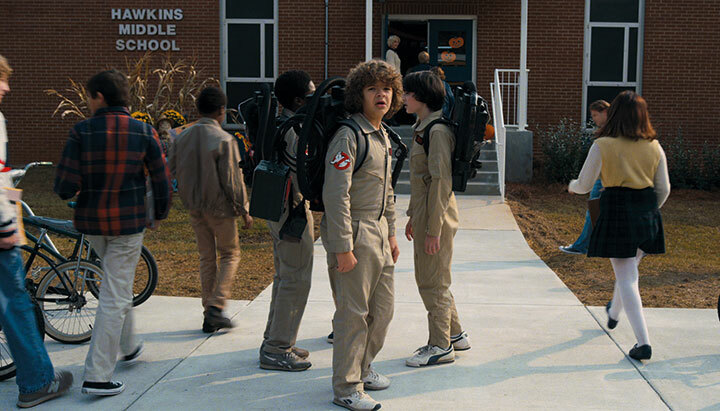 Speaking to journalists, NBC chairman Bob Greenblatt made out it was no big deal by suggesting the show was only ever meant to be a limited series. But the reality is that the show didn’t really capture the audience’s interest. 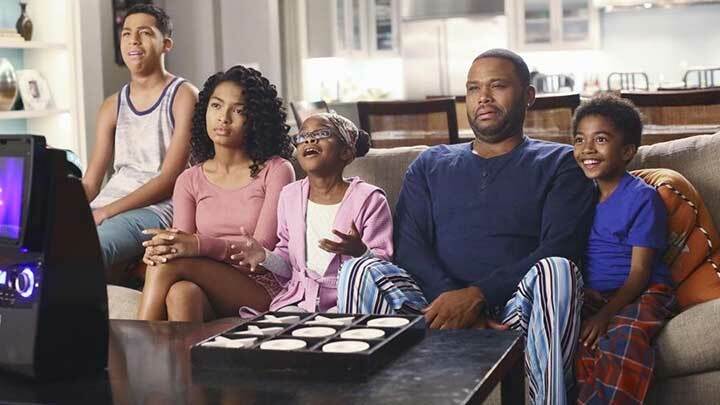 Having started at the 6.5 million mark, it settled down at 3.7 million for the back end of the 13-part run (this is on network television, as opposed to the lower-scoring cable universe). 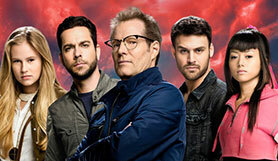 As its name suggests, Heroes Reborn was a reboot of Tim Kring’s original Heroes series – but it looks like the latent demand for the franchise that NBC had anticipated didn’t really exist. Perhaps we will see the franchise return again in a decade or two. But for now it’s a reminder, if we needed one, that bringing back a classic series isn’t a guarantee of success. The news won’t be too disheartening for Kring, who is partnering with Dwayne ‘The Rock’ Johnson on Fox series Boost Unit. Pretty Little Liars, a hit show for Freeform (the new name for ABC Family), returned to the air this week after a four-month break. And it did pretty well, generating an audience of 2.25 million viewers. There had been fears the show might suffer after a closely followed plotline was resolved in the last episode before the break. Figures were down, but not enough to set any alarm bells ringing. In fact, it also provided a good launch pad for a new show called Shadowhunters, which followed it in the schedule. 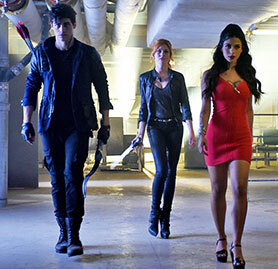 Shadowhunters, about a group of demon-hunting teenagers who are part angel, part human (sound like Buffy? 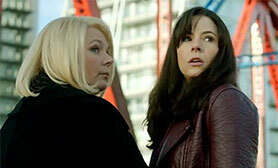 ), attracted 1.82 million viewers, making it the channel’s best new show in two years. 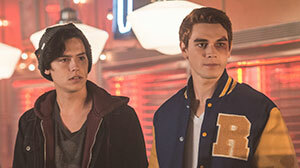 The last big debut for Freeform was Ravenswood, a spin-off of the bankable Pretty Little Liars. 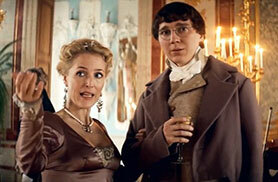 In the UK, all eyes are on the BBC’s lavish six-part adaptation of Tolstoy’s War and Peace. The first two episodes were pretty good and have drawn a positive critical response. The harsher critics have accused it of being a bit soapy, a bit racy, a bit English and maybe just lacking some of the gravitas you’d associate with Tolstoy. But as Sunday evening entertainment, it’s a noble effort that benefits from a strong cast and Andrew Davies’ clever ability to cut to the heart of a complex story. In ratings terms, it debuted to 6.3 million and then dropped to 5.3 million for episode two. That’s a strong performance with a not-unexpected drop for episode two – more like Poldark than Jonathan Strange & Mr Norrell. The performance of episode three will probably give us our best insight into how this six-part series will pan out. Lose another 1-1.5 million and it will look as though viewers are tiring of the show. But anything above 4.5 million and it will feel like it has found a loyal audience. All of which is significant to the international drama market because the performance of War and Peace may impact investment decisions related to other classic doorstop-novel adaptations. 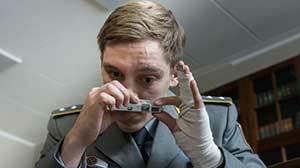 Playing opposite War and Peace in the UK was German-language drama Deutschland 83. Broadcast by Channel 4, the first two episodes of the show have scored 1.5 million and 1.1 million respectively, a strong performance. With The Bridge (Sweden/Denmark) achieving audiences of around 1.4-1.5 million on BBC4 just before Christmas and The Young Montalbano (Italy) debuting with one million in January (also BBC4), it’s clear that a significant section of the UK population is now comfortable with non-English content – which is good news for mainland Europe. In recent years there has been a small but significant trend for non-English-language drama to be aired in its original form in English-speaking markets. This began with the export of Nordic scripted content, such as Borgen, but has since expanded to encompass French, German and Italian shows – including Les Revenants, Generation War and Inspector Montalbano respectively. For the most part, this trend has involved the sales of shows to British broadcasters and subscription VoD platforms. But there was a major breakthrough earlier this year when US cable channel SundanceTV picked up the original version of Deutschland 83, an eight-part drama from UFA Fiction set in during the latter years of the Cold War. It also scored well on IMDb, securing an 8.6 rating out 10. To put this in perspective, it is higher than Orange is the New Black (8.4) and Sense8 (8.5) – albeit based on a much smaller voting sample. Deutschland 83’s positive reviews, however, haven’t transformed into very high ratings for Sundance. With the last episode airing on August 8, the website ShowBuzzDaily has the show’s ratings coming in at around 70,000-100,000. Clearly, caveats need to be made regarding time-shifted viewing, repeat airing and the ferocious competitiveness of the US market, but this figure suggests the US cable audience isn’t quite ready for non-English language drama. To compare with the UK, an equally competitive but much smaller market, this kind of content would probably secure an audience somewhere in the region of 500,000. 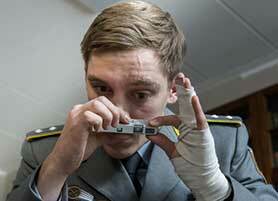 Deutschland 83’s ratings may have been impacted by the fact it is at the forefront of a new wave, and Sundance is to be applauded in this respect. So it may be that the AMC Networks-owned channel will need to persist with foreign-language drama in order to build up a loyal audience base. In the meantime, the best bet for foreign-language producers will continue to be the formats route. All of this shouldn’t, however, have a negative impact on Deutschland 83’s sales performance elsewhere in the world, where language is not such a barrier. Distributor FremantleMedia International has, for example, sold the series to Canal+ France and numerous mainstream broadcasters across Scandinavia. Still with the AMC family, this Sunday will see AMC air the last episode of Humans. A bona fide hit for Channel 4 in the UK, which recently renewed the show, Humans has proved a steady but not spectacular performer for AMC. After debuting with 1.7 million viewers, it has been running at about 1.1-1.2 million ever since. AMC is already on board the second season. 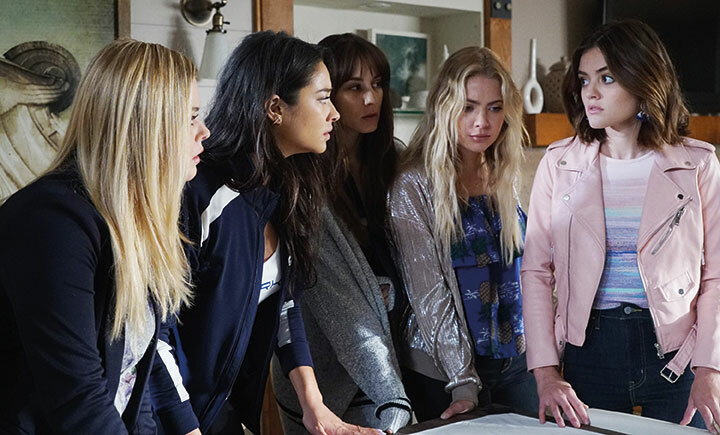 Meanwhile, this was a big week for ABC Family’s long-running hit series Pretty Little Liars, with Tuesday’s Game Over Charles episode involving a big reveal. For six seasons, the show’s central characters have been hounded by a mysterious enemy, whose identity was finally revealed this week. 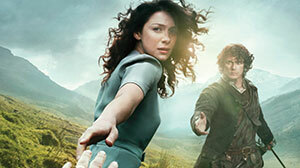 The result was a two-year ratings high for the show among its target 18-34 and 18-49 demographics. With 3.1 million total viewers and 1.8 million viewers among 18-49s, the show was also the top performer across all US cable viewing. 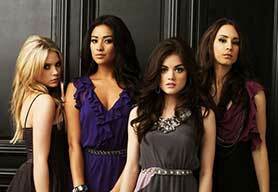 The ABC group has established a good reputation for its ability to build social media buzz around its shows, and Pretty Little Liars is a prime example. With 1.6 million tweets, the latest episode became the third most tweeted-about scripted show in cable TV history, accounting for 50% of all TV tweet activity for the day. Significantly, the only shows ahead of it in this list are also episodes of Pretty Little Liars. 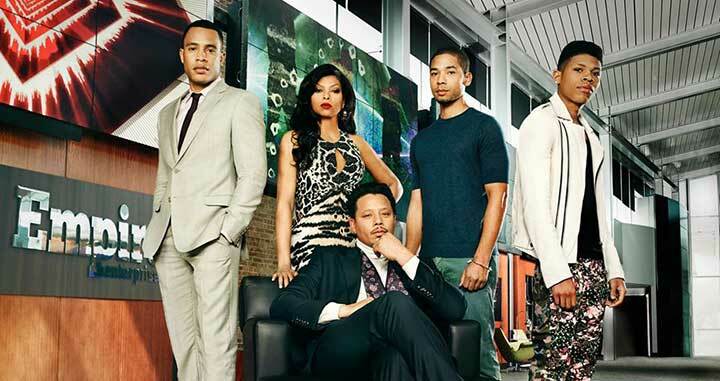 All told, the show has three million Twitter followers and 3.4 million Instagram followers. Perhaps not surprisingly, ABC Family has already commissioned two further seasons. The programme is currently nine episodes through its second season and is a steady performer with ratings of around 2.9 million. TNT has also set things up so that authenticated users can watch all previous episodes of the show on an on-demand basis. 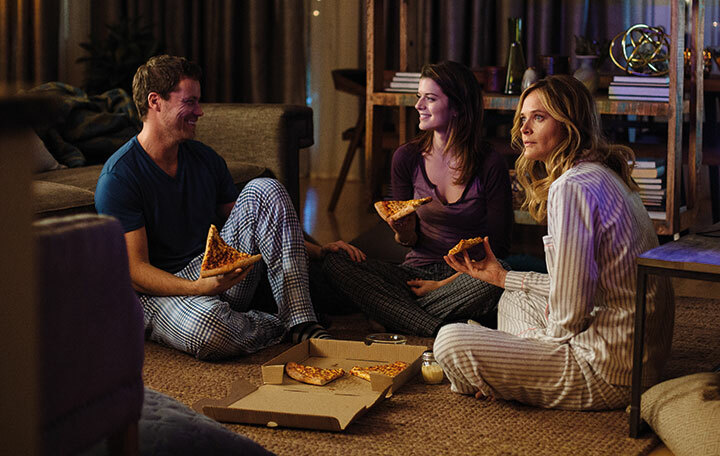 This summer the series is “reaching an average of nine million viewers across TNT’s linear, VoD, digital and mobile platforms,” according to the channel. 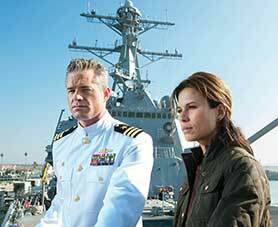 Based on William Brinkley’s novel, The Last Ship chronicles a global catastrophe that nearly destroys the world’s population. Because of its positioning, the navy destroyer USS Nathan James avoids falling victim to the devastating tragedy, forcing captain and crew to confront the reality of their new existence in a world where they are among the few remaining survivors. We’re only a few weeks away from the all-important autumn season and a lot of buzz is building around NBC’s new scripted series Blindspot. 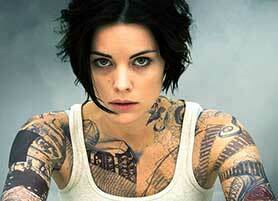 The show focuses on a mysterious tattooed woman who has lost her memory and does not know her own identity. On her back is the name of an FBI agent, who soon learns that the other tattoos on her body contain clues to upcoming crimes. The two-minute trailer shows the lead character, played by Jaimie Alexander (Thor), being found naked in a holdall in the middle of New York’s Times Square. So perhaps not surprisingly it has racked up millions of views on YouTube. The big question now is whether Blindspot can sustain the narrative beyond an intriguing opening premise.